I am a counsellor and mental health professional working with individuals, couples and family groups. Crescent Beach Counselling is the home of my private practice. With thirty years of experience, I know that change can happen and counselling can help! In a comfortable and supportive environment, my intention is to help you move forward in your life – at the pace that meets your needs. The benefits or positive changes of counselling may include; improved quality of relationships, greater capacity to experience and express emotion, or increased ability to manage or reduce stress and anxiety. It may also mean moving through and beyond difficult experiences and trauma, finding ways to heal or hold losses, or to rediscover joy, meaning or direction in life. I have worked as a clinician, consultant, program developer, director and educator in a wide range of health care and mental health organizations serving people of all ages at all points of the lifespan including : hospitals, inpatient and community mental health , palliative care, residential care programs and services for older adults and other social service agencies. A common thread is my ongoing passion for learning about self and relationship and the many ways that people create connection and “family” for themselves. The twists and turns in my professional life in many ways parallel the learning and experiences in my own life – we are all “fellow travellers”. The diversity and breadth of my experience are the strength and foundation of my private practice. Over the years, I’ve walked beside people at both the best and most challenging points of their lives. It has been my privilege to witness the human ability to create change and shape meaning from many kinds of life events including those that are difficult or traumatic, sometimes at the time, and often much later. I continue to be both inspired and honored to do this work. I am a Registered Social Worker (3705) approved for private practice by the [British Columbia College of Social Workers]. Since completing my Masters of Social Work (MSW) in 1992, my professional development and advanced skills training has focused on relationships, trauma work, and body centered psychotherapy. My training also includes Gottman approach to couples, cognitive behavioural, narrative, solution focused, mindfulness training and relaxation therapies and interventions. A common theme in counselling is that something really important to you is not working well. Whatever it may be, it is impacting your mind, your emotions, your body, and the meaning you feel in life. A “problem” can be defined as anything that is causing distress to you – in your person, your relationships or your life. Below are some examples of the issues people often bring to our work together. Lists don’t cover real people’s lives :), so please call me if you have specific questions about something you would like to address. 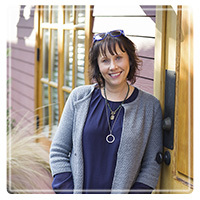 As you consider counselling, I invite you to take a look at my website to get to know me a bit www.crescentbeachcounselling.com and to see how my services fit with what you are looking for. My office is a place of safety, warmth and openness for individuals, couples and families. Crescent Beach Counselling is located in a peaceful, private and comfortable setting just off the main street in Crescent Beach. There is free parking and a beautiful place to walk before or after an appointment. How can I be helpful to you? If you have a question or would like to book an appointment, please call me. I look forward to hearing from you.